WE ADDED A SCOND SCREENING! DEL SHORES’ SEQUEL TO HIS 2000 HIT ‘SORDID LIVES’ CHECKS IN ON THE WACKY, SOUTHERN BAPTIST DENIZENS OF WINTERS, TEXAS. Get ready to return to Winters, Texas! Sordid Lives, the cult classic “black comedy about white trash,” is getting a sequel 16 years after it first premiered. 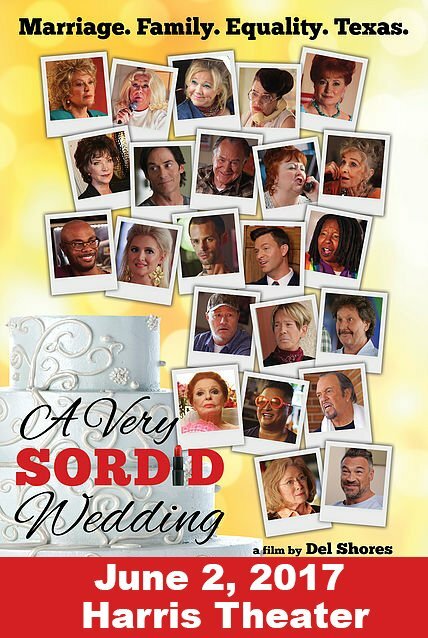 As the original film dealt with coming out in a conservative southern world, A Very Sordid Wedding explores the questions, bigotry and the fallout of what happens when gay marriage comes to communities and families that are not quite ready to accept it.